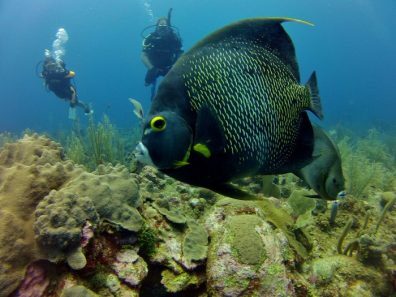 Scuba Diving in Ambergris Caye, Belize. Just a five minute boat ride from shore, the Belize Barrier Reef is on the door step Ambergris Caye. This reef runs north to south for 185 miles (300km), making it the largest barrier reef in the Western Hemisphere. 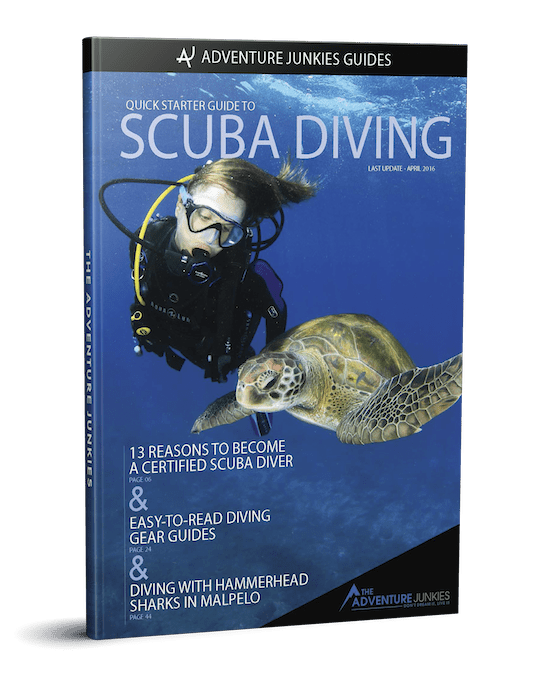 A great place for a scuba diving travel adventure. Of Belize’s 200 cayes (islands) Ambergris Caye is the largest and most visited. 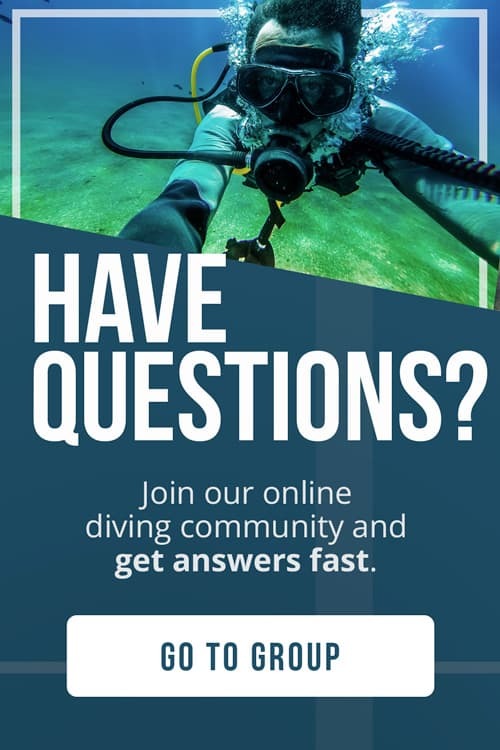 Here we spent over a month diving the reef, trying out our new diving gear and earning our dive master certifications. 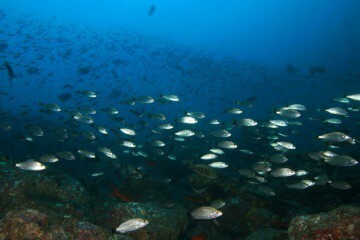 The time we spent here allowed us to visit most of the dive sites and get to know this area well. The reef is made up of spur and groove canyons. If you aren’t familiar with this reef system here is a quick visual, hold your hand flat with stretched out fingers, your fingers represent the canyons (the spurs) and the spaces in between are the ocean floor (the grooves). These canyons run parallel to the reef ridge. Ridges are at a depth of 60-85 feet and the sandy bottom is at around 100 feet. Part of the trill of diving is that you never know what you will see! The variety of marine life found in the reef and nearby marine reserve is outstanding. 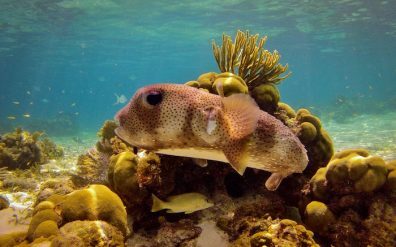 Here are just a few of the species that you can come across while diving off Ambergris Caye. Queen Angel, barracuda, tarpon, blue tang, scrawled file, trumpet, porcupine, french angel, black durgon, rainbow parrotfish are just a few of the many tropical fish you will spot here. 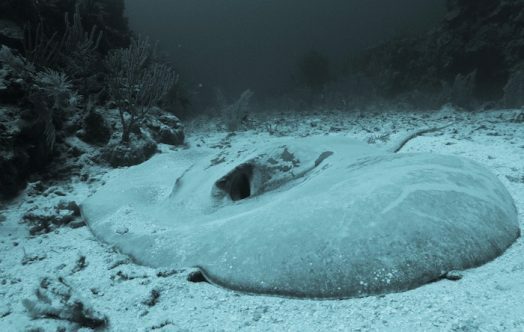 There are three species of sting rays you will find buried in the sandy bottoms of the reef. The caribbean sting ray which has a large circular body, southern sting ray that resembles what you might imagine a sting ray to look like and the smallest of the three the yellow sting ray. Also commonly seen are the spotted eagle ray, which unlike the sting ray they don’t hide out on the bottom of the sea they glide past you. 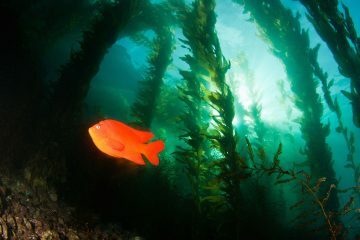 Typically they are found at the edge of the reef canyons are in the marine reserve. 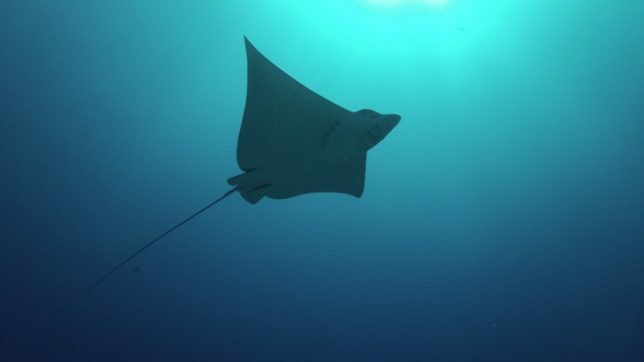 The grace of these rays and unique spotting make them one of our favorite creatures to see while diving. 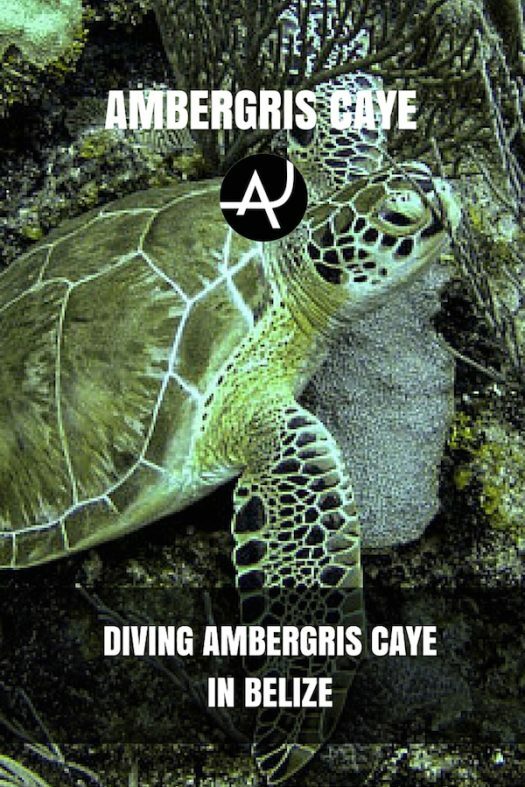 The green, hawksbill and loggerhead are the three species of sea turtles that call the waters of Ambergris home. 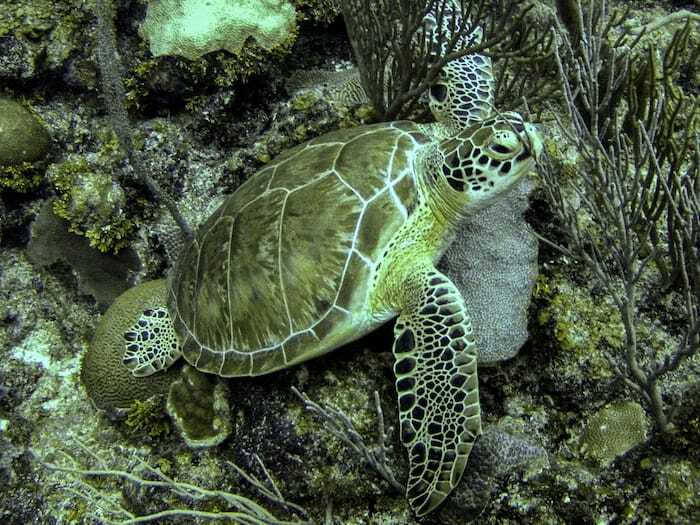 The green turtle tends to be shy and swims off quickly once it spots divers but the hawksbill and loggerhead aren’t skittish and usually hang out, which makes for some great photo opportunities. While you can see nurse sharks all over the Caribbean, Ambergris has one of the largest populations. It is common practice for dive operators to feed these sharks so they have become quite friendly and come close to divers. They are non aggressive and there is nothing to fear, just don’t put your hands near the mouth! 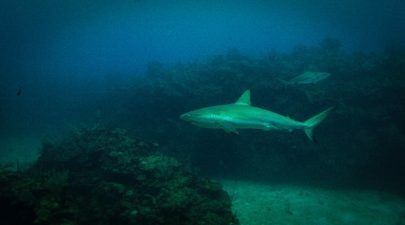 After sometime diving here you will become accustomed to seeing nurse sharks and the thrill will quickly fade but don’t worry there is still a surprise or two to be had diving here. 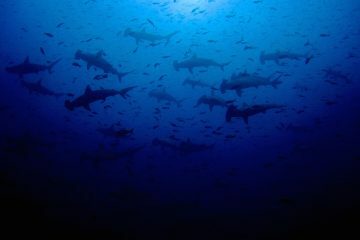 If you are having a lucky day you might see a black tip shark or very lucky, a hammerhead. Over 70 hard corals and 30 soft corals have been identified on the reef. 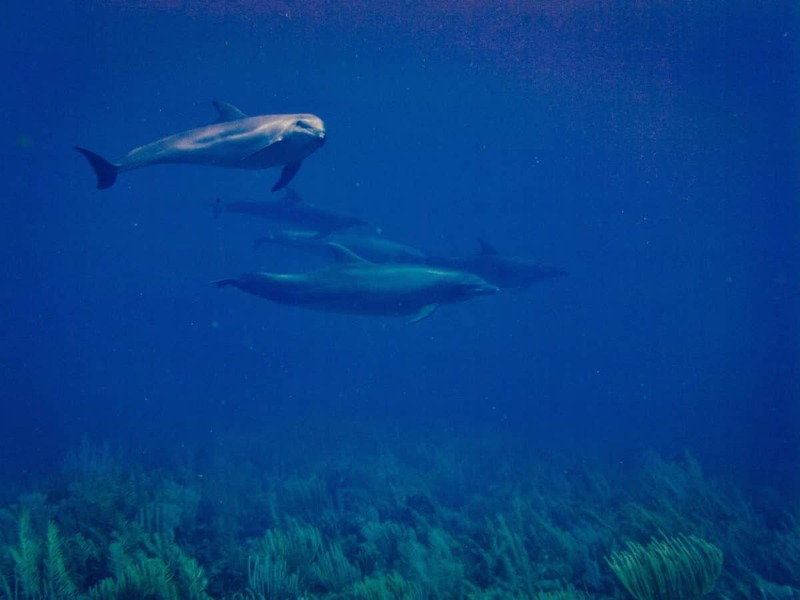 Who knows maybe you will even get to dive with dolphins! 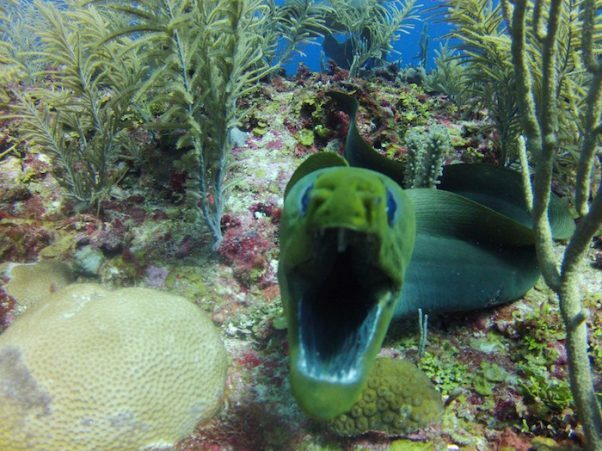 There are a lot of choices when it comes to picking a dive site off Ambergris Caye. Most of the dive operators tend to stick to the sites south of San Pedro Town. 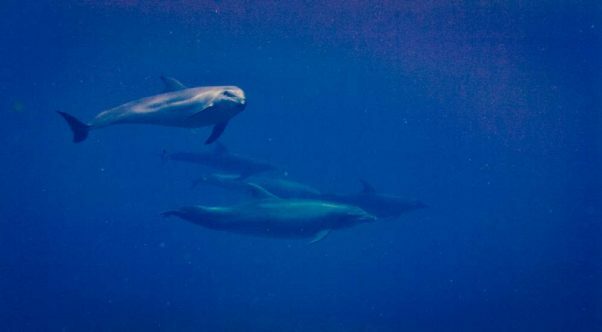 From talking to local dive masters we were told that you can spot the most wildlife between Tackle Box Canyons and Tuffy. This doesn’t rule out the other sites, it just depends what you are looking for. Sites further north of town seem to have less fish but more swim throughs and tunnels. After descending, make a stop between two canyons and knell on the sandy floor. Your dive master will most likely have brought along some treats for the creatures that live there. Nurse sharks, black groupers and two resident green moray eels will swim right by you as they come for the feast. Start this dive by going through a dark opening in the canyon that forms a tunnel. At the middle it opens up a bit and lets light in, which makes it a great place for pictures. If you enjoy swim throughs you are bound to have fun in Mermaid’s lair. With the various tunnels and canyon formations it’s easy to see how this site got it’s name. Hol Chan cut is a great dive for beginners or divers who have been out of the water for a while. 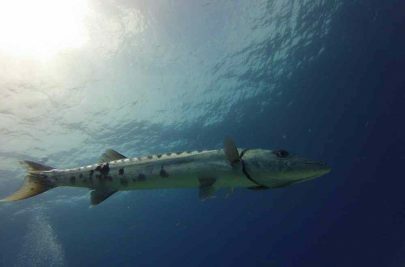 Being a protective reserve there is an abundance of fish, over 160 species have been identified. The shallow depth of this dive site allows for sea grass to grow which is the main part of the diet of turtles and manatees so you are more likely to spot them here. Swim to the edge of the canyons and look out into the blue, you might be lucky enough to spot black tip sharks. Unlike the nurse sharks black tip sharks are quite shy and will probably only hang out for a moment before darting off. Warm waters, on average 84°F, 29°C, we didn’t even need to wear wetsuits! 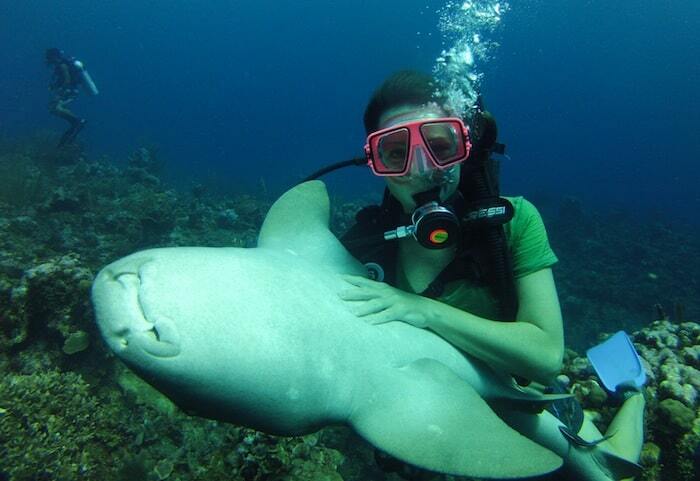 Abundance of aquatic life, sharks, rays, hundreds of species of fish and corals. Short boat ride to sites, on average only 5 minutes.